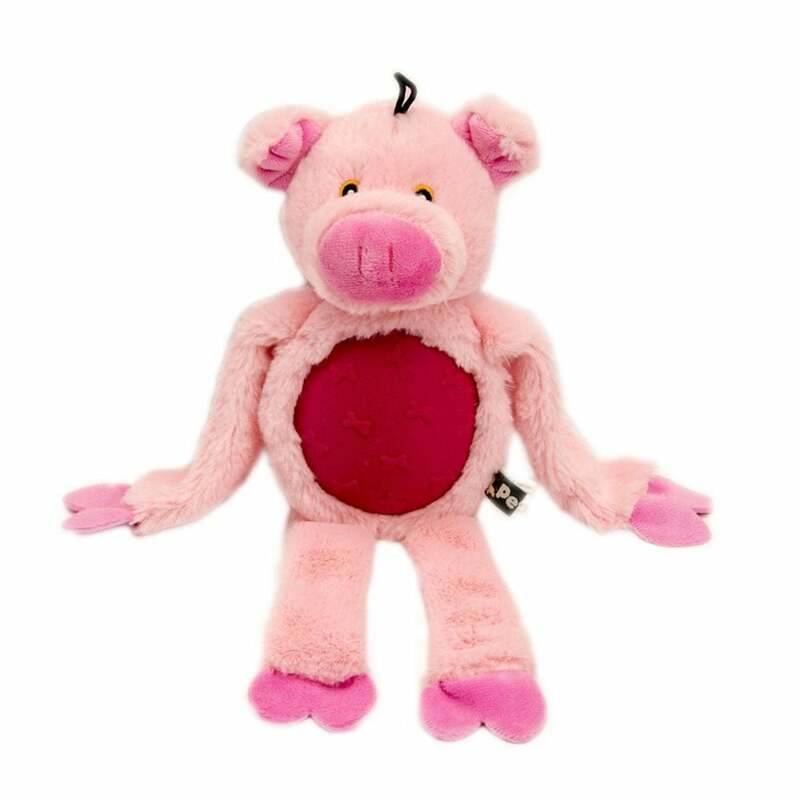 The Petface Farmyard Buddies Rubber Tum Pig is a cute pig shaped squeaker dog toy with multiple textures for your dog to enjoy. This soft fleece toy has a stuffed head and body while the limbs are stuffing free. This colourful toy features a 3.5" rubber disc in the tummy for hours of entertainment whether playing or training.